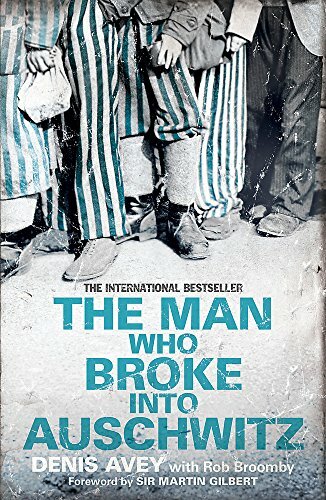 THE MAN WHO BROKE INTO AUSCHWITZ is the extraordinary true story of a British soldier who marched willingly into Buna-Monowitz, the concentration camp known as Auschwitz III. 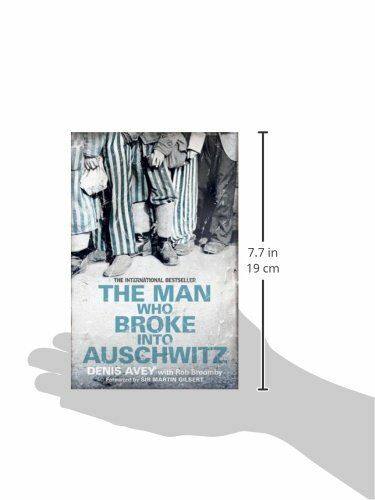 In the summer of 1944, Denis Avey was being held in a POW labour camp, E715, near Auschwitz III. He had heard of the brutality meted out to the prisoners there and he was determined to witness what he could. He hatched a plan to swap places with a Jewish inmate and smuggled himself into his sector of the camp. He spent the night there on two occasions and experienced at first-hand the cruelty of a place where slave workers, had been sentenced to death through labour. Astonishingly, he survived to witness the aftermath of the Death March where thousands of prisoners were murdered by the Nazis as the Soviet Army advanced. After his own long trek right across central Europe he was repatriated to Britain. 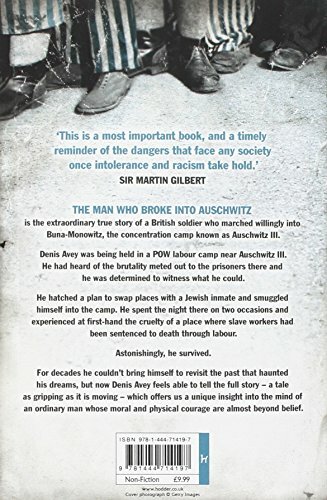 For decades he couldn't bring himself to revisit the past, but now Denis Avey feels able to tell the full story - a tale as gripping as it is moving - which offers us a unique insight into the mind of an ordinary man whose moral and physical courage are almost beyond belief. This paperback book has 288 pages and measures: 19.7 x 12.7 x 1.8cm.